Your corporate branding and identity is how you want the world to see your business. Everything you do, from engaging with customers to marketing your product, should enhance your brand. Branding isn’t just about having a catchy tagline or a great looking logo. It’s about creating a perception in the minds of your customers about what kind of company you are and what they can expect from you. Marketing materials, your website, and customer service are all a big part of this process. Think of it like this: a logo only represents the face of your business, a brand represents the complete personality of your business. The truth is, your brand will probably develop from the perception that your clients have with you. You can guide this perception, but ultimately, they will decide. The more you do to enhance and enforce how you want to be seen, the more public perception will match it. 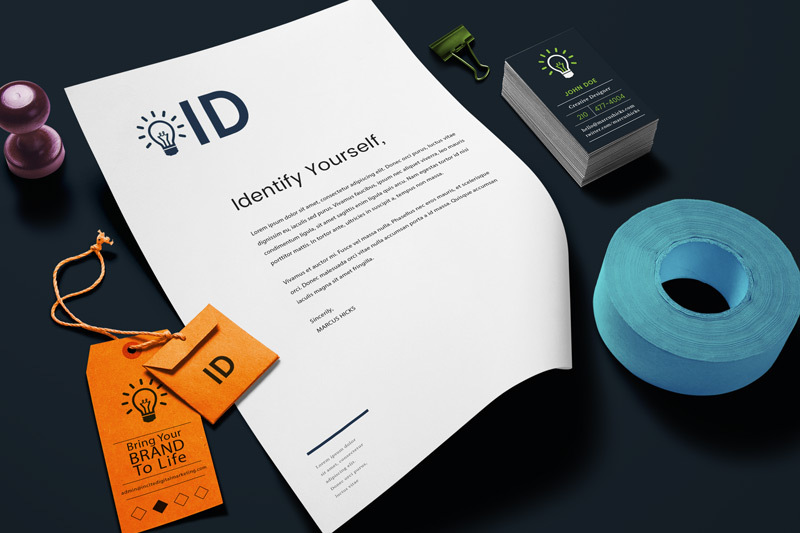 How does Our Corporate Branding and Identity Package Help Your Business? Building a strong corporate identity means carrying that brand through to everything you do. Brochures, website, social media, and any communications you have with the customer should all have similar themes and designs to make sure your brand is carried through. Your branding should present your business as the best in what it does, period! You might be new to the marketplace, but the image you put out there is that your company has the expertise and a commitment to quality that is second to none. Your customers should feel like they’re in the best hands when they choose to work with you. Don’t be a part of the crowd. Stand out from it. Your corporate branding and identity should make you UNIQUE amongst your peers. When it comes to online marketing, there is a lot of competition, so your brand needs to zig when everyone else is zagging. A strong corporate brand means that people will be able to remember your name. The more consistent you are with your branding, the more likely your business will stick in the minds of your potential customers, meaning when they are ready to purchase a product you sell, they’ll think of you first. Just like singing a commercial jingle. Venture Capitalists looking to invest are drawn to businesses that have strong corporate identities. Strong branding gives the impression of an established, well-run business that is committed to success and growth. If you’re looking for additional support or funding, corporate branding will help you get what you need. Our Corporate Branding and Identity Package can help with all of these brand design aspects, and more! Let us design your blueprint to success for free, call (210) 477-4004 or set an appointment today for your consultation and we’ll show you how your corporate identity can stand out in the crowd.